Osteopenia, Osteoporosis Post Polio. 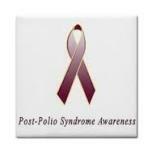 Today poliomyelitisis almost unknown in the developed world but there was a time when it was epidemic. First recognized in eighteenth century England, there were outbreaks of this disease reported in both Europe and the United States throughout the nineteenth century and twentieth. All this changed with the introduction of a vaccine (IPV) in 1955 which led to a decrease in cases. The introduction of an oral vaccine in 1961 reduced the incidence of infantile paralysis even more.Still there are many adults who live with 'post polio syndrome' and it is for these that this page is written. In October 2009 the journal European Neurology published a study"High Incidence of Osteoporosis and Fractures in an Aging Post-Polio Population" done by researchers at the Department of Rheumatology, Beaumont Hospital, Dublin,Ireland. researchers found that: "Based on the bone mineral density data, 28 (56%) of the patients were diagnosed with OP and 20 (40%) had Osteopenia, but only 8 (16%) received anti-resorptive therapy. Of the 19 patients who had a fracture, 14 (74%) had OP and 5 (26%) had osteopenia, of whom only 6 (32%) received anti-resorptive* therapy. Eight out of 9 fractures of the neck of femur occurred in the weaker leg." At the end of the study, the researchers concluded that persons who had polio are at risk for fractures, and thus bone density assessment, review of falls risk and therapeutic intervention should be considered for all patients. If you had polio, ask your medical provider to have your bone density tested. Every day spend a few minutes on balance and co-ordination exercises at home. If you do NOT FALL you are less likely to suffer a fracture. Read about Tai Chi - it not only helps prevent falls but it has been effective for strengthening bones. See: Tai Chi. Finally, read through some of the natural treatments for building bone. See: Osteopenia Osteoporosis Post Polio: Review of Natural treatments to strengthen bones. If you do not have access to rehabilitative medicine outlet where practitioners understand polio and post polio, this book - written for professionals - may offer some useful insights.